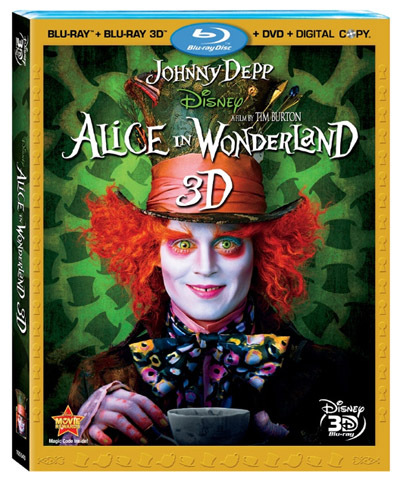 The Blu-ray Disc is formatted in 1080p video with Dolby Digital 5.1 HD surround sound. Alice in Wonderland 4-Disc Combo Pack with Blu-ray 3D will retail for $49.99 in the US. Check out the list of extras below.